Every state defines crimes in different ways. 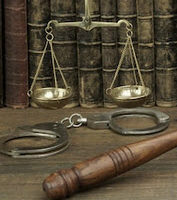 One particular area of criminal law that can get very confusing is that of theft and burglary. Many people use terms like theft, robbery, and burglary interchangeably when discussing this group of crimes. But in Maryland, these terms have very different meanings, and they carry very different penalties. According to the Bureau of Justice Statistics, there are about 3.7 million burglaries in the U.S. each year. Of all these burglaries, about 1 million of them involve a situation where a victim was present, and about 7% of all burglaries result in a violent crime. In other words, in an average of 266,560 of these cases per year, a homeowner or other victim is home at the time and suffers an attack. Theft occurs when someone steals property without any direct confrontation or violent force. This can include stealing small, low value items, shoplifting, or even grand theft auto. As the value of the item goes up, so too will the potential penalties. Robbery occurs when someone steals something while using direct confrontation or force. A robbery charge requires that there is some element of confrontation. The suspect must actually confront or force the deprivation of property in some way. It can be done through the use of physical violence or the use of weapons. The more violent and higher the value of the items stolen, the greater the penalties. If a firearm is used, it greatly increases the penalties. Finally, burglary occurs when there is a breaking and entering. When a suspect enters someone else’s residence or business for the purpose of either stealing property or committing any other felony. This is what makes burglary such a tricky law – you can be convicted of burglary even if nothing was stolen and there was no intention to steal property. Prosecutors often bring burglary charges in situations where it may be questionable. For example, say you loaned your car to a friend and he or she refused to give it back. One day, you jumped his fence at night to retrieve the vehicle. While it’s true that this would be a breaking and entering, it is probably not a burglary because there was no intent to commit a theft or felony. Perhaps trespassing would be a more appropriate charge. There have also been situations where people were charged with burglary for breaking into their employer’s business to take back personal items. Again, while still very illegal, this probably does not constitute burglary. They key is whether the breaking and entering was done with the intent to commit a felonious act or steal something. If you are charged with burglary, you can’t afford to plead guilty without speaking to an attorney. Penalties can be as long as 20 years in jail (or more in some situations). Call the Law Offices of Todd K. Mohink, P.A. in Maryland today to get started building your defense.